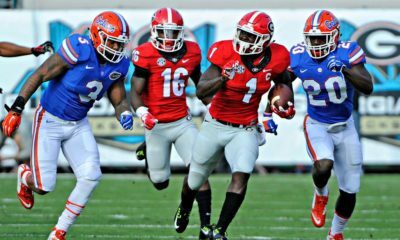 JACKSONVILLE, Fla. – The third-ranked Georgia Bulldogs overwhelmed the Florida Gators 42-7 at EverBank Field on Saturday, improving to 8-0 for just the eighth time in school history. Georgia tabbed its fifth conference win, while Florida dropped to 3-4 on the season, and 3-3 in the SEC. The Bulldogs’ 35-point advantage marks the most extensive margin of victory over the Gators since 1982. Georgia’s defensive ambush held Florida scoreless until its first touchdown in the final minutes of the game. In the first quarter, Georgia surrendered only two first downs to the Florida offense. Senior outside linebacker Lorenzo Carter steered the Georgia defense with nine tackles, followed by junior inside linebacker Roquan Smith with eight. Prior to the game, Florida was tied for third in the nation in allowing only four rushing touchdowns, which the Georgia offense matched on Saturday with four rushing touchdowns of their own, combining for 279 yards. 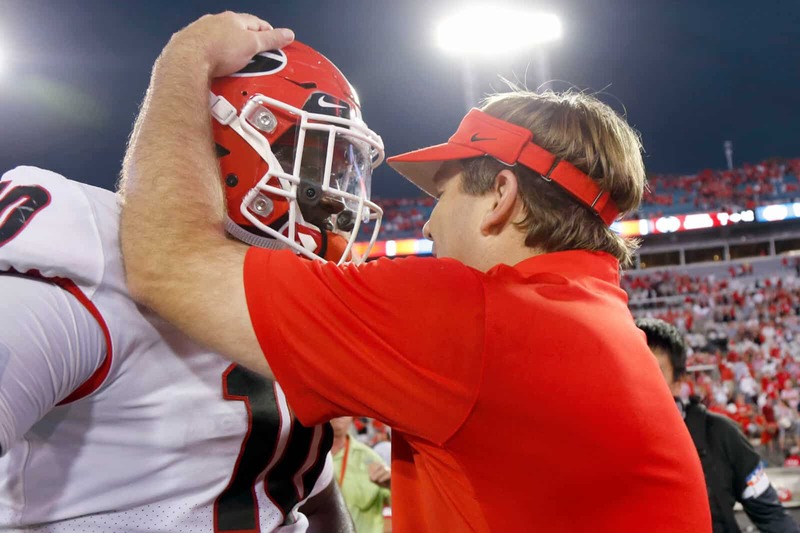 Senior running backs Sony Michel and Nick Chubb led with 137 yards and 77 yards, respectively, while freshman quarterback Jake Fromm needed only four completions on seven passes, including three to freshman running back D’Andre Swift. In the first quarter, the Bulldog defense held Florida to three-and-out on its first possession, setting up a four-play, 53-yard march into the Gator end zone a minute and a half into the game. 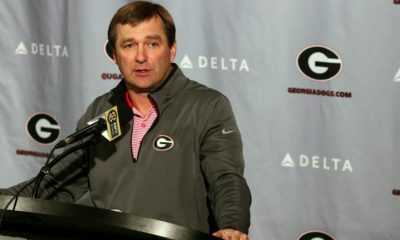 Fromm completed his first pass toSwift for 39 yards, and Chubb combined for 14 yards on three carries, featuring a six-yard rushing touchdown. On Florida’s second drive, senior safety Dominick Sanders snagged his 15th career interception from a tipped Feleipe Franks pass to place Georgia on the Florida 29-yard line. Two plays later, an airborne senior wide receiver Javon Wims extended above Florida cornerback Marco Wilson to secure a 17-yard touchdown pass from Fromm for the 14-0 advantage. On the first play of Georgia’s third offensive possession, Michel exploded for a 74-yard touchdown run, sealing a 21-0 Georgia margin that carried into the half. 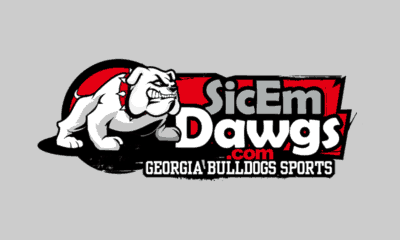 In the third quarter, Georgia returned to the end zone with 6:43 remaining in the frame, as Michel finalized a five-yard, 76-yard drive with a 45-yard rushing touchdown. Fromm led the Bulldogs down the field with a 13-yard rush and an 18-yard connection to Swift. Less than a minute later, a Georgia duo of defensive backs, sophomore Tyrique McGhee and redshirt sophomore J.R. Reed, enveloped Franks on the Florida three-yard line, forcing a fumble as Reed scooped the ball for a three-yard touchdown return. After another defensive stop, Georgia closed the third quarter leading 35-0. In the fourth quarter, the Georgia defense held Florida to a three-play, 23-second Florida drive, allowing the Bulldog offensive streak to continue. Following runs from sophomore tailback Brian Herrien and sophomore running back Elijah Holyfield, Fromm found Swift for a 27-yard pass, and Holyfield capped the 42-0 score with a 39-yard rushing touchdown. Florida avoided the shutout with less than three minutes remaining in the fourth quarter as redshirt senior running back Mark Thompson ran for a one-yard touchdown. Up next, Georgia returns to Sanford Stadium on Saturday, Nov. 4 to play host to South Carolina at 3:30 p.m. The game will be aired on CBS.